You can help us transform the culture of youth sports in America. Help us make a real, positive difference in the lives of our young people…on and off the field. We support partner programs across the country – from neighborhood clubs to national governing bodies like USA Swimming and USA Volleyball. Each one of our partners uses TrueSport resources in its own way, integrating them into its programs to meet individual needs and specific objectives. There are no one-size-fits-all solutions. 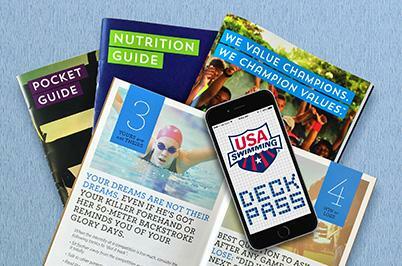 TrueSport is powered by the experience and values of USADA – the U.S. Anti-Doping Agency. A trusted guardian, dedicated to preserving the integrity of competition at every level. Our athlete ambassadors – including world champions and Olympic medalists – are drawn from the elite levels of every sport. Together, these cornerstones support a holistic approach to youth sport – one that embraces the health-enhancing benefits of physical activity as well as the life-affirming benefits of clean competition. Since its founding, TrueSport has demonstrated dramatic growth – achieving unparalleled awareness among athletes, parents, coaches and sports organizations. From interactive lessons to mobile apps, from action-oriented handbooks to a robust social media platform, TrueSport uses today’s technologies to build timeless values. The time for TrueSport is now. In a world wondering whatever happened to simple ethics, good values, and honorable competition, the TrueSport message resonates deeply and believably, with a special relevance for today’s families – the very audience your brand is working to reach. TrueSport partnership opportunities include everything from custom branded programs to package label endorsements; from on-site events to social media programs; from naming rights to logo usage. We welcome sponsors at every level of commitment. for your budget and your brand ethic.